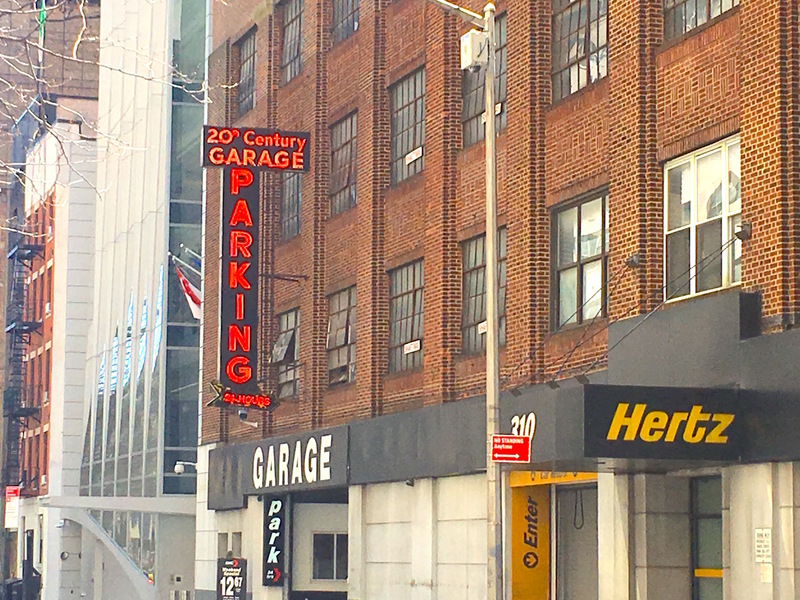 I’ve always loved the bright neon 20th Century Garage sign at 318 East 48th Street. But I had no idea that the garage behind the sign was once a movie studio—where famous silent screen stars churned out the comedies and melodramas early 20th century audiences couldn’t get enough of. On the first floor was the Norma Talmadge Film Corporation, opened around 1916. Her name might not be well-known today, but Norma Talmadge (left) was an A-list actress in the teens and early 1920s. 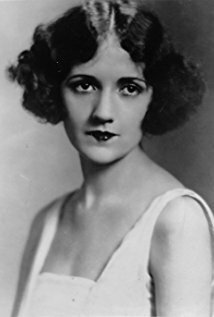 Talmadge was a plucky young woman who often played the lead in dramas and romantic comedies; she got her start doing bit parts at the Vitagraph studio in Flatbush while still a student at Erasmus Hall High School in Brooklyn. On the second floor, Norma’s sister Constance made her films. 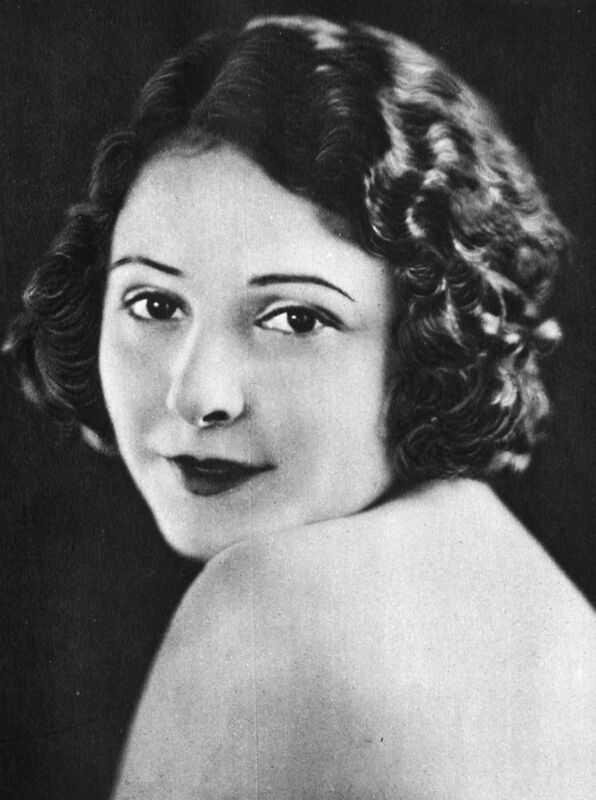 Constance Talmadge, also a bit player at Vitagraph, was a star in her own right. She played “Mountain Girl” in D.W. Griffith’s Intolerance and became a popular comedic actress. Also in the same building was the Comique Film Corporation, where Fatty Arbuckle and Buster Keaton made slapstick films like The Butcher Boy. The thread uniting all these stars was Norma’s much older husband, Joseph Schenck—a producer who brought his different movie concerns under one roof for a brief time until 1921, according to Hollywood on the Hudson. After that, Schenck and his stars decamped to Hollywood. New York’s brief run as the movie-making capital of the country was coming to an end. Norma and Constance’s careers didn’t last much longer either. Once talkies hit the scene, the two were edged out and mostly retired from screen roles. Reportedly they made lots of cash from their movie days, getting a cut of the box office. It’s been a century since the garage was a film studio—but imagine the glamour in that warehouse all those years ago! This entry was posted on May 7, 2018 at 5:25 am and is filed under Beekman/Turtle Bay, Brooklyn, Music, art, theater, Random signage. You can follow any responses to this entry through the RSS 2.0 feed. You can leave a response, or trackback from your own site. W🌝W. Amazing historic find. And I love this bright red sign also! i believe there was an article in the NYRB about that building not too long ago. Spelled Vitagraph with an A. You can see the smoke stack at Avenue M in Brooklyn. In the early days of silent film, actors and actresses would not mouth the words the slide cards said, but say whatever they wanted, which was often dirty jokes. However, people who could read lips saw that, and complained to the producers, so they required silent movie actors to actually say the words that nobody could hear. If you look at early silents, and can read lips, you can see this for yourself. so David, know any good dirty jokes of the silent film era? 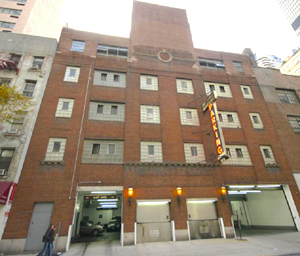 Another silent film studio, Biograph, was located, from 1896 to 1908, in the building located at the northwest corner of Broadway and 13th Street. Stars who “got their start” here included Lillian Gish, Lionel Barrymore, Mary Pickford, and comedian Mack Sennett. I understand scenes were shot on the rooftop of the building and whenever I am shopping at The Strand can’t help but gaze across Broadway and upward imagining…. There was also Andy Warhol’s Factory on the other side of the park (Union Square) where other types of films were made & other types of legends were born. (Despite those legends & that era is not your cup of tea you’ve said here…). That even bled into more mainstream films; as Viva was in the party scene in Midnight Cowboy. (Lol – this may be one of the first times one of Ephemeral’s posts birthed a film thread that reflects the original subject of the post). I love your posts. What is your plan for your website? Norma and Constance had a sister named Natalie who was married to Buster Keaton. Roscoe Arbuckle was Keaton’s mentor and the rest was history once they started making films together. Buster’s marriage was unhappy one, eventually, and he descended into alcoholism. Joe Scheck was a part of Buster’s undoing as he stopped producing Buster’s films, forcing Buster to move to MGM, and losing all creative control over his films. Ultimately, he married his third wife, Eleanor, regained his health, and lived a happy, productive life. Roscoe, unfortunately, had a less happy fate, having been framed for sexual assault. He was cleared of the charges after a THIRD trial and began directing films again under a pseudonym. He made several fine films but succumbed to an unexpected heart attack. Buster always kept a photo of Roscoe in his home. they are still there to this day. travel from all over the world to pay respect to their bones.